Serving all of Sacramento, including Arden-Arcade, La Riviera, Rio Linda, Rancho Cordova, North Highlands, Carmichael, Florin, Foothill Farms, Laguna West-Lakeside, Citrus, Elk Grove, Davis, Citrus Heights, Fair Oaks, Gold River, West Sacramento, Parkway-South Sacramento, El Dorado Hills, Folsom, Cameron Park, Shingle Springs, Placerville, Granite Bay, Lincoln, Loomis, Rocklin and Roseville. Free Consultation & Design Estimates. Call Toll Free (916) 747-6680. Celebrity Greens Sacramento is the Authorized Dealer, Designer and Installer of Artificial Grass Lawns and Putting Greens for Sacramento and the surrounding areas. We are an established Sacramento-based landscaping company, specializing in Artificial Grass solutions for residential and commercial playgrounds, pets, golf greens and recreational sports. We are experts in landscaping and understand drainage, slope, curb appeal, and are dedicated to using the highest quality products and workmanship to perfect our turf installation process, whether it’s for artificial lawns, putting greens or commercial applications. We always take a very personal and involved approach with all of our clients, big and small. Our installations range from the smallest custom private installations to large scale contracting installations. 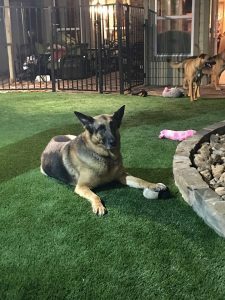 We install outdoor grass sports surfaces, as well as kid and pet friendly playground surfaces, and we specialize in designing and installing the most advanced sand filled, artificial grass putting greens available today. Our artificial putting greens can be installed indoors and outdoors. We offer a multitude of design features including sand traps, water hazards, custom lighting and many other amenities to excite the game of golf. Celebrity Greens Sacramento offers complete landscaping services, and we are proud to offer products that require very low-maintenance while remaining lush and green through every season and all weather conditions. Contact us today at (916) 747-6680 for a free consultation!